At the time, I nodded. I knew what she meant – they weren’t going for anything outlandish, and the name they chose for their son – Matthew – was as straightforward and practical as my friend and her husband.But limiting yourself to the names of Roman Catholic saints is not, well, limiting. First, a quick note on sainthood, for the non-Catholics among us. For the first thousand years or so, a person became a Saint through local custom. Not so today – Rome has slowly codified the process. The result is over 10,000 saints and beati, some of doubtful historical veracity. So, yeah, there are gonna be a few humdingers in there. You can search the index over at www.catholic.org yourself. But you know I’ve already whiled away a few hours musing over some very underused, very interesting saints’ names. Endellion – Like many early female saints, she was a virgin and a recluse. But your Endellion might live up to this Gaelic name’s meaning: fire soul. With the pretty nickname Della or the boyish Lio, it’s an interesting choice. 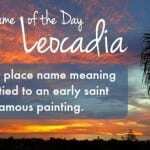 Leocadia – I first noticed this name on a painting in the Prado Museum in Madrid. While the woman in the portrait was no saint – she was believed to be Francisco Goya’s lover, and mother of his child – she bears the interesting name of a fifth century Spanish martyr. If Leo is hot for boys, then Leocadia seems like a valid choice for girls. It could also be freshened up as Leocadie or Leacadie. In French, it’s Locaie – perhaps a bit too like “location” to work in English. Marina – She’s another virgin, this time from the eighth century. Marina lived near the Black Sea and the name has a wonderful sea-faring quality. Unlike most of these choices, its also somewhat familiar. It was #406 on the 2006 Social Security baby names’ list. Aurelia is one of those names that isn’t just old school; it is positively BC. The Roman patrician clan even had a road named after their family – the Via Aurelia. Saint Aurelia was a princess, too, but a tenth-century Austrian one. She earned sainthood as a recluse. The name’s meaning – golden – is quite appealing. This seems like a better choice that modern inventions like Aubrianna and Ariella. Everild – If you like the sound of the noun name Ever, this unusual Old English name might appeal. A seventy-century noblewoman and abbess, she is sometimes called Averil, perhaps a less extreme option. It’s one of the few Old English choices that might work in the 21st century – certainly the names of Everild’s companions, Saint Bega and Saint Wulfreda, are best left to obscurity. Hermione – It will, of course, bring to mind the clever witch from the Harry Potter series. but Hermione is an ancient martyr mentioned in the Bible. Thais – If you’re looking for a simple name like Brooke or Paige, but want something a little less common, Thais might fit the bill. The temptation is to say “Tice,” but this is actually two syllables: TAH ees. It’s a fourth-century name, but sounds just right in the 21st. Sunday School dismissed, but check back for the boys’ edition, coming soon. haha i love the fact tht i have a saint name. she seems nice and loved god. so cool i had to do my report on her. 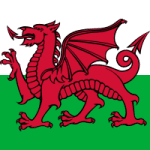 Any idea what the etymology of the name Endellion is? Very interesting name and exactly the meaning and general sound I was looking for. Besides, I love Celtic culture, so it would be great to have a Celtic name with a verified meaning and origin. […] – An obscure Spanish saint, Leocadia feels an awful lot like Hermione.